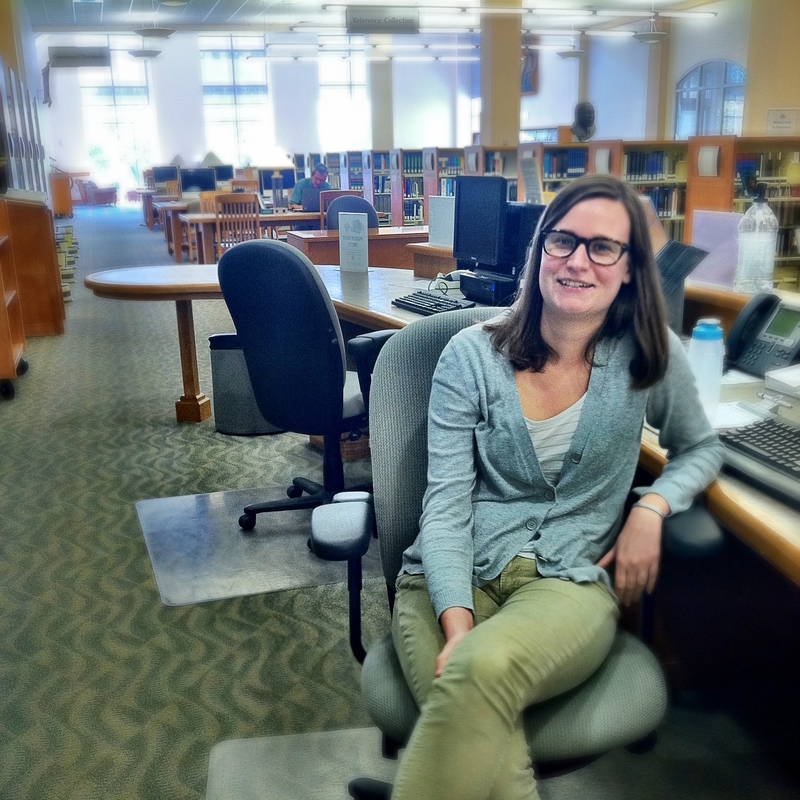 Here’s the next post in our Hired Librarians feature, where I interview a recent successful job hunter and the librarian that hired her. 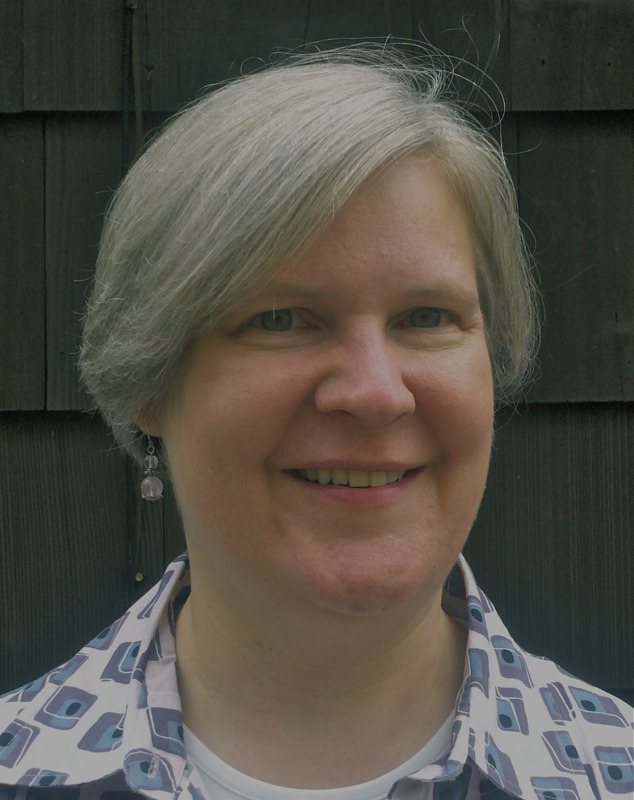 This week I’m interviewing Nicole Tekulve, Information Commons Librarian, and Virginia Cairns, Chair of Search Committee/Head of Reference & Instruction. Ms. Tekulve and Ms. Cairns are Academic Librarians. They work at the Lupton Library at the University of Tennessee at Chattanooga, which is in the Southern US and has 31 staff members. I am an early career librarian who graduated in spring of 2011. I have a little under two years of professional experience and about 5 years of paraprofessional experience in public and academic libraries. This was actually one of the first questions I was asked in my interview! 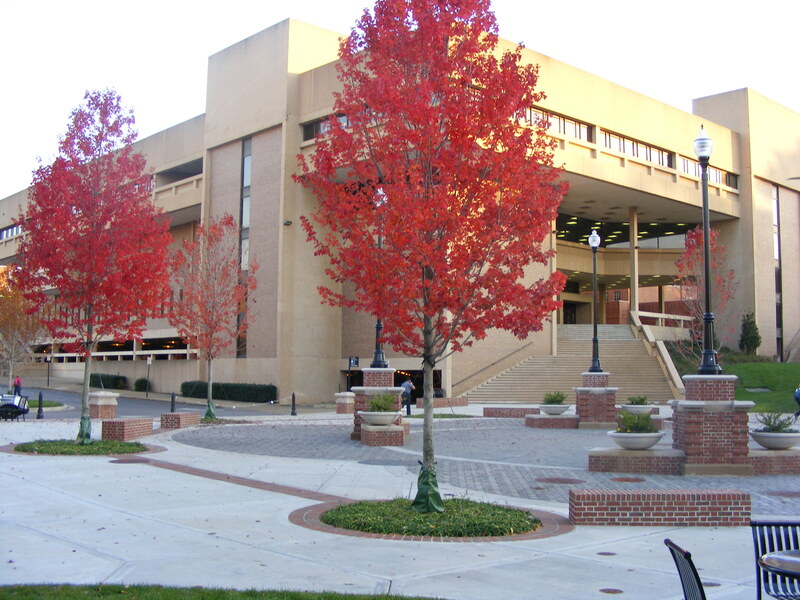 To begin with, I knew about the UTC Library’s reputation, the innovative projects they worked on, and the type of librarians they employed. I wanted to be a part of team where I would be challenged both intellectually and creatively. I also loved that I would be doing a variety of things- from teaching classes to planning workshops and programs to managing student workers. My CV was 3 pages long and my cover letter clocked in at a full page. For starters, I did some general research about the library, campus, and community. One of the greatest things about this library is that they are very transparent. The library maintains a wiki with tons of information about the organizational structure and past, current, and future projects. I made sure to pour over that information thoroughly. I also did more specific research related to information commons. I reviewed books, journal articles, and looked at the webpages of many information commons throughout the country. This helped me define my vision of an information commons. What did you wear (or – do you have a photo of your outfit)? I don’t have a photo but here’s a recreation. It’s not the typical pantsuit but I wasn’t interviewing at a place that I considered typical. A major part of the interview process was developing and presenting my ideas for programs and services that would further the Information Common’s mission to serve as a collaborative hub for the library and on campus. I spent about a week developing the presentation and then at least two or three days refining and practicing. I even went so far as to record myself giving the presentation on my iPhone and listened to it over and over again while making the 4 hour trek to Chattanooga (I realize this is a little crazy). I also read through this list of interview questions and thought about some potential answers. There’s no way to know what a search committee will ask but even developing sample answers will help you think quicker on your feet when the interview time comes. Be prepared for that moment when the search committee asks “do you have any questions?”! The night before the interview I jotted down about ten questions and grouped them according to the different interviews. I had different questions for each of the different groups I was meeting with. Some of the more general questions were things like “What is the biggest challenge facing the library in the coming year?” and “Why do love working at Lupton Library?”. I also made sure to stay engaged throughout the day and ask questions during the more informal moments like the coffee break and lunch. I think it was combination of experience and personality. I had a year’s worth of professional experience under my belt and I could highlight past projects and accomplishments that I felt would appeal to the search committee. I also tried to make sure that I was myself throughout the process. I mentioned Honey Boo Boo in my cover letter to clue them in on my love of pop culture. For my presentation, I included funny pictures (like dogs walking on tightropes) because I wanted to convey my lighthearted side. As far as general advice, I would strongly recommend that you have someone review your application materials. It doesn’t have to necessarily be another librarian. My sister comes from the corporate world and has helped me immensely with proofreading and formatting. I also would suggest that you tailor each cover letter and CV to the position that you are applying for. No two jobs are exactly alike so you’ll want to make sure that you are highlighting how you fit for each position. The job hunting process is time consuming. When I was applying for a slew of jobs leading up to graduation, I treated it as a part-time job. I would come home from work and search for jobs, draft application materials, and follow-up on applied jobs for at least two hours a day. Be willing to invest time in the process to ensure a positive outcome. Nicole wrote an excellent cover letter that covered all the bases (highlighted specifics of how she met the requirements of the job). She also indicated that she knew of our library and the work we have been doing (she said she had a “crush” on us). The crowning detail was a reference to Honey Boo Boo. I had to speak with this person after reading her letter. That’s what a good cover letter should do – make me want to meet you, discuss things further and learn more about you. Yes. Nicole pretty much met all of them. She was doing a very similar job at another school. Her CV did a great job of outlining the varied duties she was performing in her prior job that matched up with what we were looking for. Nicole was right at the top of our pool of candidates. We had probably 3 who shared similar levels of relevant experience and desirable skills. We phone interview about 10 finalists and then bring anywhere from 2-4 to campus depending. The interview itself is dinner the evening before with the Dean, and then a full day of meetings, a formal presentation, a social hour with the library staff and faculty, campus and library tours, and we close out with a wrap up with the Dean. Nicole was articulate, she came prepared with questions, she had good examples of projects she had completed and groups she had worked with. She described herself as having a “yes: mentality, which goes a long way in our culture here at UTC. Her presentation was solid and she was clearly comfortable in front of a classroom. She enjoyed interviewing us as much as we enjoyed interviewing her. She established rapport with us very well and had done her homework (she knew who we all were, by name). No, Nicole was clearly qualified for the job. And she fits well with our existing team in the instruction department and library-wide. A good cover letter is the key to making it through the initial onslaught of applicants (in some cases 175+) and landing an interview. Make the letter reflect not only your skills and experience but your personality as well. Get help polishing up both your resume and your cover letter if you feel you need it. Once you land an interview, do your homework. Learn as much as you can about the library, its services and its people. In the interview, be prepared to treat the day as a two-way conversation – ask us questions just as we are asking you questions. Practice your presentation thoroughly so you’ll be confident and comfortable delivering it. Express your continued interest in the position to the Dean or hiring manager as you wrap up the interview. If possible, follow up with an email or note to the search committee after you get home from the interview, just to cement it as a positive experience and reinforce your interest in the position.